One cap to cover them all? 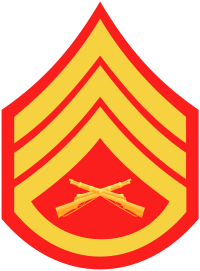 The Marine Corps Uniform Board seeks active-duty and Reserve Marines’ feedback on…whether the Corps should adopt universal, unisex dress and service caps — either the current male frame cap with modifications or the Dan Daly cap, which had previously been identified as the replacement cap for the female “bucket” cover. A unisex cover! Interesting. I don’t have a problem with switching to a single style, I’ve always wished females could just wear the same dress covers as male Marines because I think they look better. It appears that the options are either everyone would wear the modified male style (second from left) or everyone would wear the old-fashioned “Dan Daly” style cap (far right). It doesn’t say if continuing with the current covers for both genders is an option, or if using the current male cover for everyone is also an option. I had no idea that the replacement for the obnoxious female bucket cover was actually a historical style, I assumed it was a new invention. Either way I didn’t care as long as it meant we could ditch the bucket cover. I saw one of those viral shared photos on Facebook in which some twits blamed “wooks” for the unisex cover proposal. Unless you have a problem with female Marines, using that line of argument against the new style options makes you look silly, since virtually everything else we use as Marines is already unisex: Humvees, MREs, PT gear, weapons, MCIs, flak jackets, bullets, boots, packs, paychecks, and EVERY SINGLE PIECE OF THE CAMOUFLAGE UNIFORM that most Marines wear to work every day. Plus, as a Supply Marine by trade, streamlining is always good. Why buy and maintain sources for two different versions of the same item if you don’t have to? I laughed, and we both agreed that the Dan Daly cover looks strange. But we’re used to seeing the current male dress covers, which are huge in comparison to the old style, and that’s all we’ve ever known. Any change will look weird for awhile, but change isn’t always bad. Marines are amusingly unamused by change, despite our reputation for flexibility and adaptability. My friend clarified, “We adapt to battlefield change well… Uniforms… not so much”. I’m leaning towards wanting to use the current male style or the modified one, but I can see how a smaller cover could be attractive also. It looks darn good on Dan Daly’s head, so if the Marine Corps decides to switch to that style, it will look just as good on our heads too, once we all get used to the idea. After five years of moaning and griping, of course. What they are not publicizing is that the shift to a Dan Daly cap will cost you about three times more for a cover than transitioning female covers to modified. Simply because Dan Daly wore it doesn’t make it historical either. Daly served before the advent and popularity of the garrison cap. A smaller cover was needed to complement the peaked cover (barracks cover). 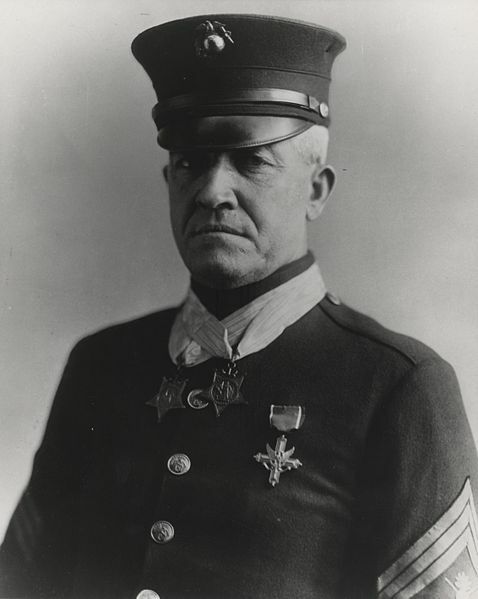 The Dan Daly style (totally misnamed since it was around well before him) quickly fell out of favor when our modern day soft, cheap, easy to put on/off garrison cap was invented. Suits of armor are historical but I don’t think we’ll be transitioning back to them. I agree that there should be an option whereby we retain distinct covers. I doubt that will happen under our current Commandant. This is another in a long string of disappointing decisions he has made. The cost is one reason I want to switch to the male cover. It’s ridiculous that female Marines are expected to pay $64 for a new blues cover when male Marines only have to pay $24 for a new frame AND cover combined. If ours gets dirty, we’re screwed. We have to shell out another $64 for a new one, versus less than $8 for a new male white cover. Change just for sake of change is bad. We are the keepers of tradition and we don’t take to changes very easily (especially us old war dogs). Long standing issue for the bucket cover as stated above is the cost involved and the lack of a proper method to clean it if it gets dirty. If this will ease the pain for our warfighters and make it easier for the ladies then I am all for it. I would be very intrested in the cost of the new cover for greens and blues. The photo appears to show TWO different covers, vice a single cover for wear by both sexes. Make it simple and make one cover, don’t replace two with two new ones. PS: I am keeping my old barracks cover. Mark me as Old Corps…but I support all Marines both new and old! Your comparison of unisex items in use by Marines today makes absolutely no sense. Humvees are vehicles meant for transportation, not something you wear. MREs are meant to be ingested, not worn. Every Marine is a rifleman, so why would you make a weapon specifically for a woman? You’re trained at TBS or Recruit Training the same way your male counterparts are, and you’re expected to complete the same obstacle courses, the Crucible, and everything else. Unless you’re carrying bullets in your brazier or undergarments, I can’t imagine why you would even make such a comparison. You earn a paycheck based on the work you do and your rank. In that regard, there is no so called “gender gap”. The flak jacket was phased out several years ago. So if you’re referring to the Modular Tactical Vest, most females already have a complaint with it since it’s uncomfortable. While the current proposal has nothing to do with female Marines proposing it and liberal leaning leaders who are out of touch with reality, you’re right, there are some twits out there who don’t know how to make a proper correlation. Seems smart to have one for everyone. Efficient and what not.